If you’re looking for a high quality, stylish and performance focused Kenwood fridge freezer, you’ve certainly landed in the right place. We offer a wide range of reliable and notably stylish Kenwood fridge freezers that have been expertly developed to meet the demands of everyday life. 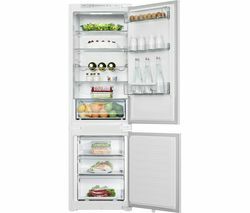 From the Kenwood American Style Fridge Freezer in stainless steel that’s ideal for accommodating the needs of busy households, through to the Kenwood 50/50 Fridge Freezer in white, which is smaller, yet incredibly spacious, you’re sure to find a fridge freezer that meets your requirements. Offering exceptional performance in a diverse range of kitchen environments, all of our Kenwood fridge freezers have been designed to optimise longevity, durability, and versatility. One of the most popular products in this range is the impressive Kenwood KSBS4DX17 50/50 Fridge Freezer in Inox. 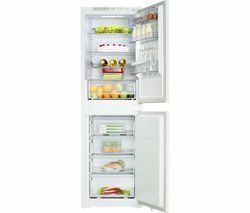 Featuring its very own water dispenser, frost-free technology to prevent ice build up, a multi cooling system that has been designed to keep your foods fresher for longer, as well as plenty of space to utilise, this Kenwood fridge freezer is sure to become a welcomed addition to your kitchen. Super efficient and powerful, this fridge freezer also has an efficient compressor and fan for low noise operation and stable performance. Boasting a wide choice of models and colours, our Kenwood fridge freezers also embrace the very latest technology to ensure that you are always able to enjoy the latest benefits that come hand in hand with new technology, in your home. Dedicated to offering all of our customers the very best choice when they land on our site, if you can’t find what you are looking for, don’t worry. We also provide a number of other fridge freezers from some of the industry’s leading names including plenty of Smeg fridge freezers and Beko fridge freezers.